Sandusky may be best known for its collection of record-breaking roller coasters. But this year, the city’s water parks are getting all the attention. Both Cedar Point and Kalahari Resorts, the city’s top tourist draws, are planning major expansions of their outdoor water parks, setting up a friendly competition for high-sliding thrill-seekers. “It’s definitely good for Sandusky,” said David Sangree, president of Lakewood’s Hotel and Leisure Advisors, and a national expert on water park development. He expects both parks to draw new visitors, enticed by the high-profile attractions. Cedar Point was first to reveal its plans, announcing last summer that it was expanding and rebranding its long-time waterpark, the former Soak City. It’s been renamed Cedar Point Shores and will feature new slides, pools, restaurants and lounging areas. Several months later, Kalahari Resort, a few miles south of Cedar Point, revealed that it, too, planned a major expansion at its outdoor water park. New for summer 2017: a massive complex of five water slides, with numerous funnels, tunnels and sudden drops. Sangree said the Kalahari expansion in Sandusky is part of a broader investment across all three Kalahari resorts, including properties in Pennsylvania and Wisconsin. But he said the company may have added to its investment in Sandusky in response to Cedar Point’s plans. “The scope of Kalahari’s expansion, with five new rides, is pretty significant,” he said. 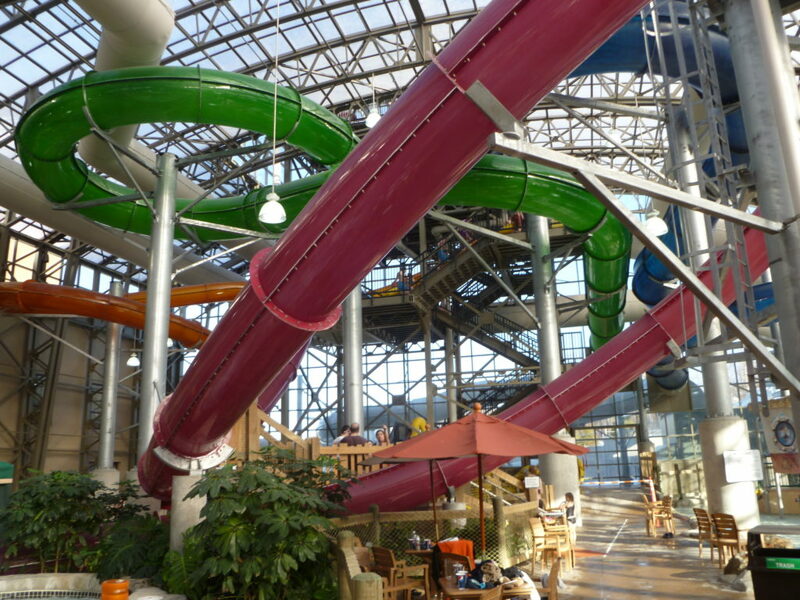 Kalahari’s Wisconsin Dells property, by contrast, is getting a single new slide; its new Poconos resort this week opened a major indoor water park expansion.